Are you familiar with the mineral boron? If you want to maintain strong and healthy bones as you age, then you need to learn about this critical nutrient! 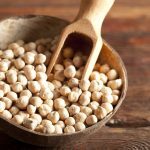 This entry was posted in Lifestyle, Nutrition and tagged osteoporosis, bone health, boron, recipe, Mineral, Chickpea, Casserole on January 13, 2019 by development.